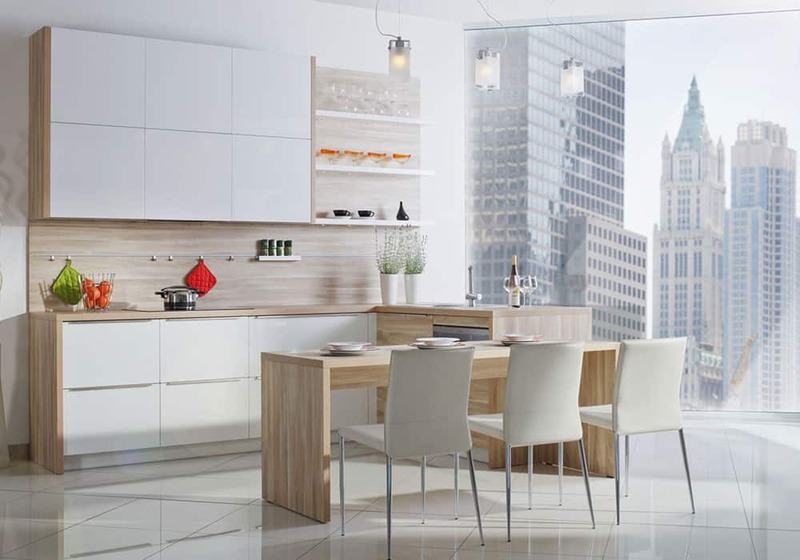 Contemporary cabinets by definition means what is current, in the now, or what is trending or cutting edge. It also means using the latest and hottest design ideas as well as the newest materials available. 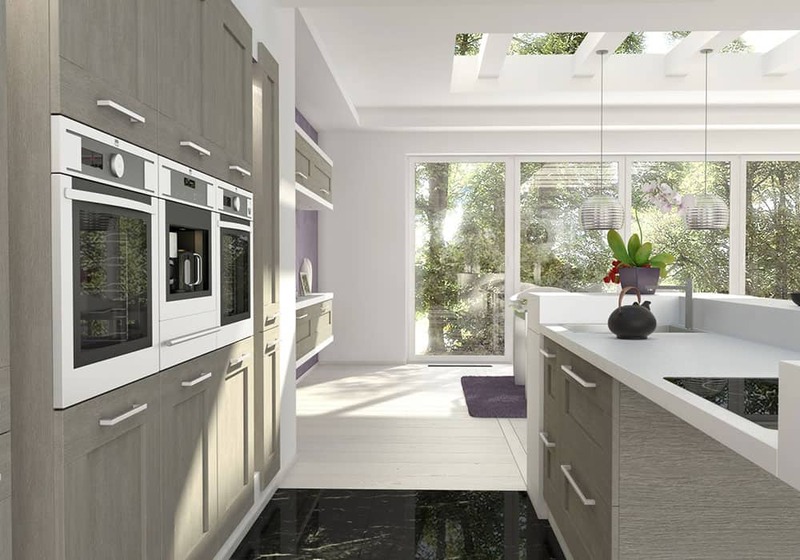 Contemporary kitchens can be modern as well. By incorporating many of the same elements there are similarities in the two. 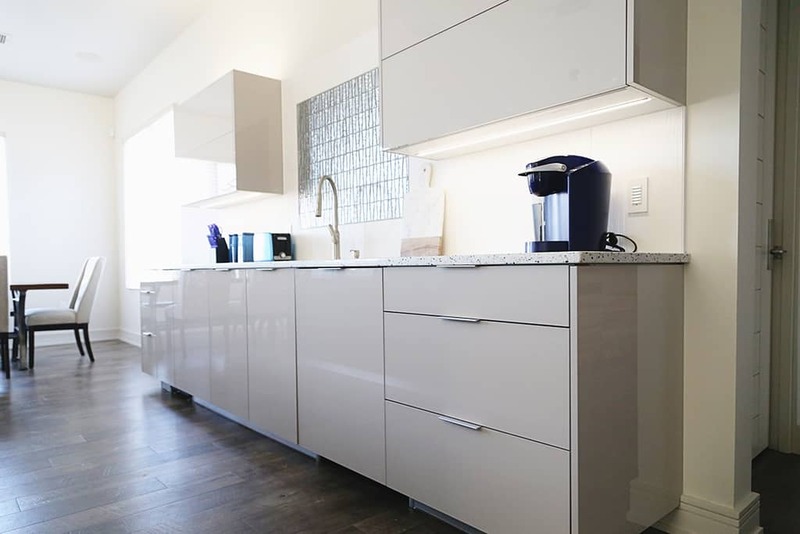 Contemporary cabinets will have a simple, clean, and minimalistic approach. 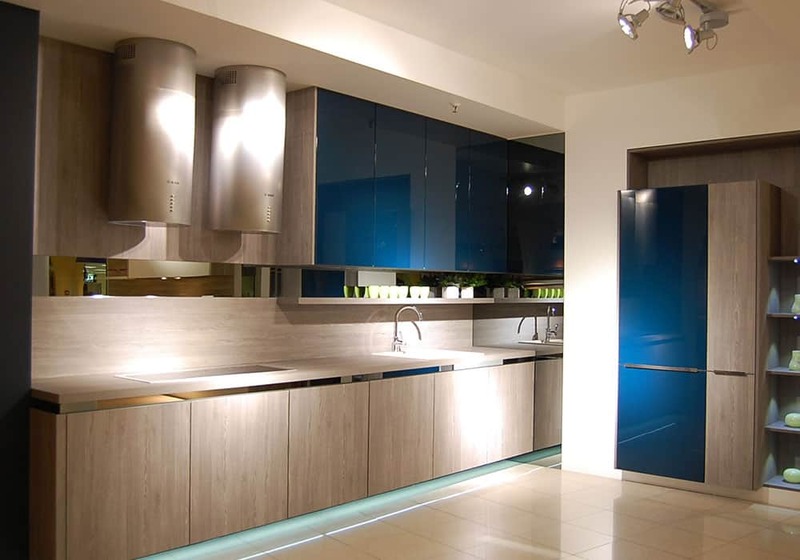 To achieve this look, contemporary cabinets will not have crown and heavy moldings nor will it have any raised panels. Keeping with the simplistic feel, the cabinets will typically be flat or shaker style with simple hardware and minimal decorative accents. 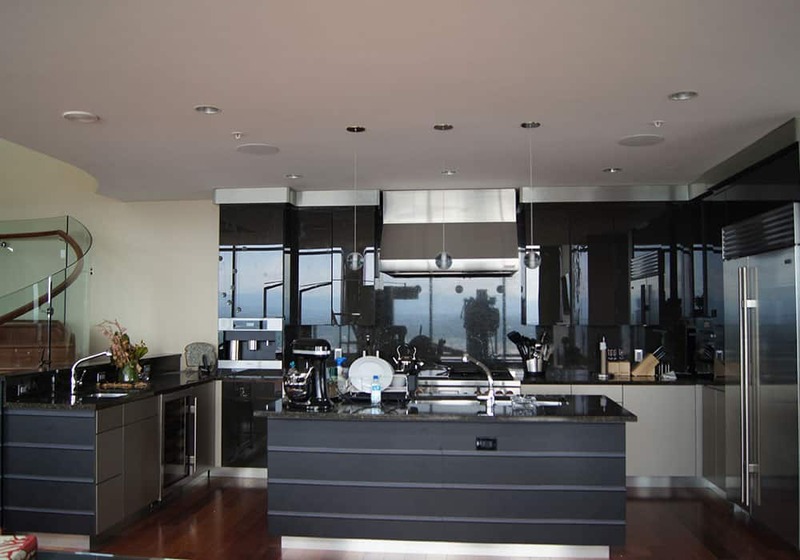 Most contemporary cabinets are built as a frameless cabinet style. 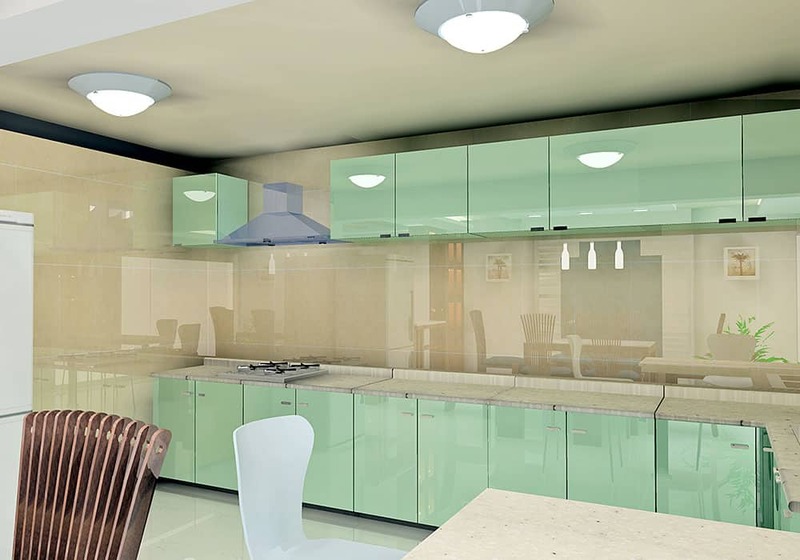 Frameless cabinets are a style of cabinet found throughout and developed in Europe. Without a face frame or moldings on a cabinet it maximizes the storage available to use. This makes it ideal for small kitchens or tight spaces. 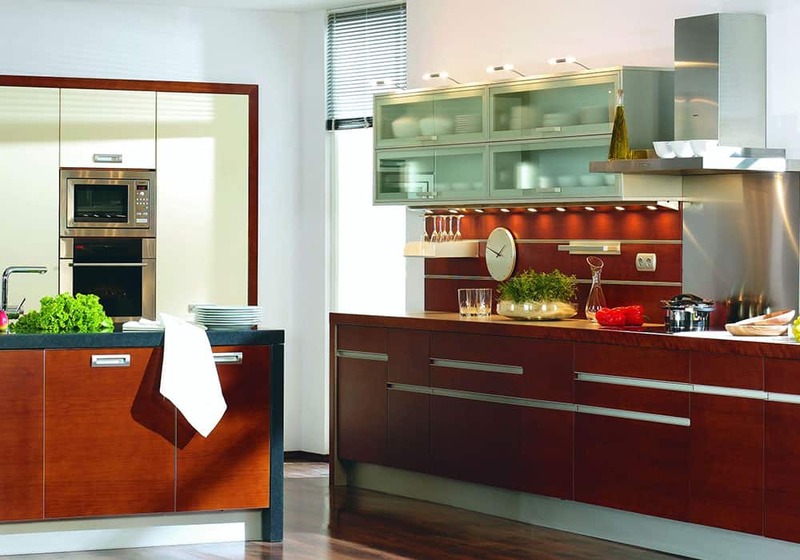 Materials used in contemporary kitchens combine both man made materials such as metal, plastic, concrete, or glass and natural material such as real wood veneers and natural stones like granite or marble. The natural materials help bring warmth to the room so it does not become too cold or sterile feeling. 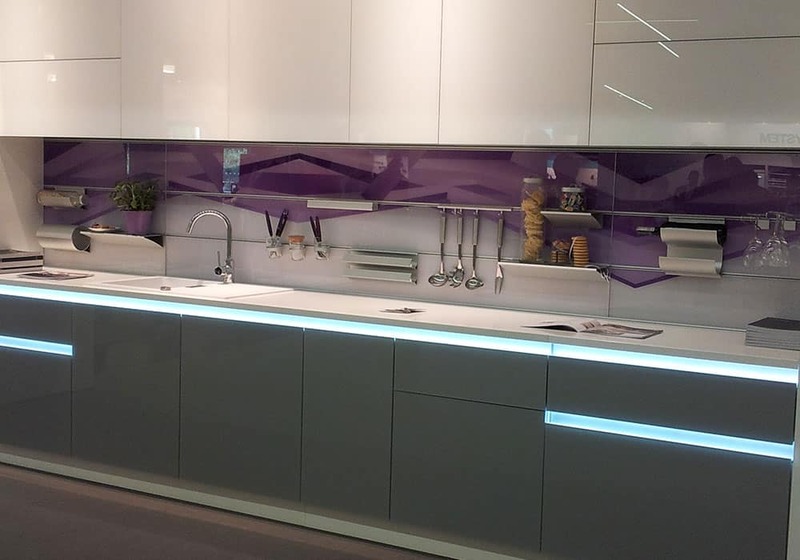 More and more recycled materials are also being used in contemporary kitchens. 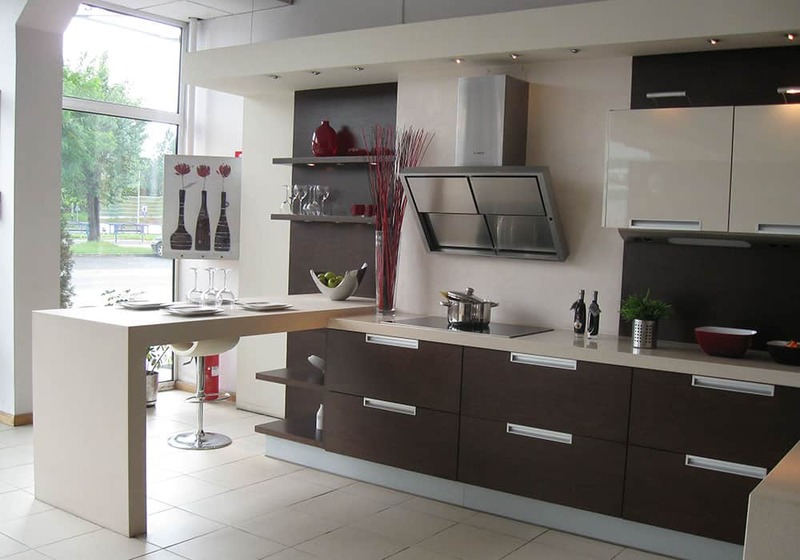 We have many of the modern and contemporary finish options available at Elite Cabinets Tulsa. 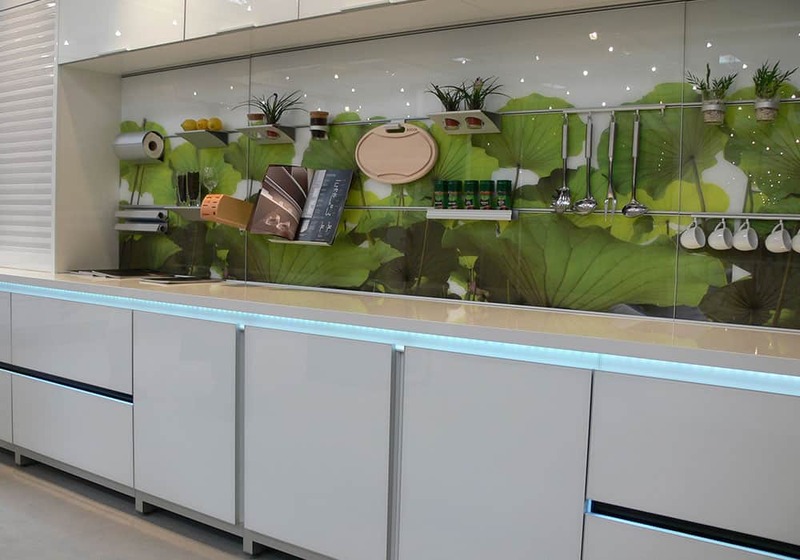 Glass cabinet fronts are gaining more popularity every day. They are easy to clean, hygienic, and eye catching. Just a few of the options include clear, frosted, backpainted, and eco resins. Production times just 3-4 weeks. Laminate cabinets are among the most durable finish you can get. Combined that with their price and you have a product anyone can appreciate. 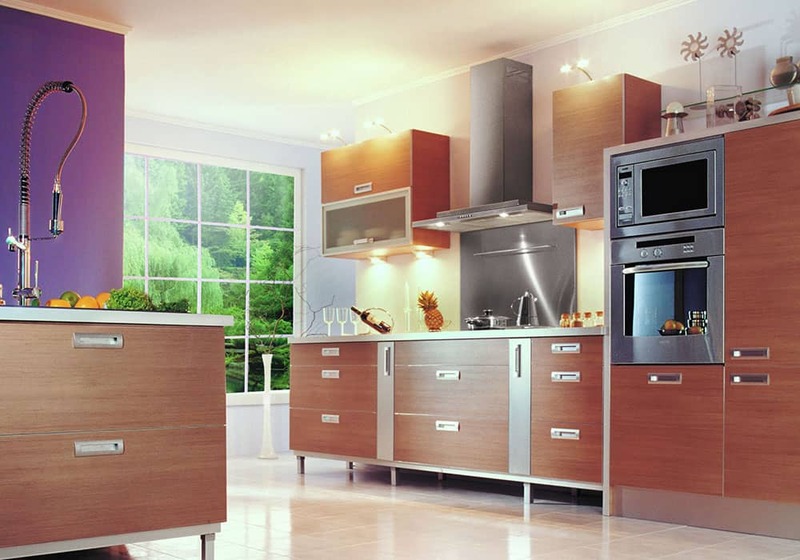 There are many options to choose from including wood grains, solid colors, patterns, and even stainless steel. Production times from 3-4 weeks. 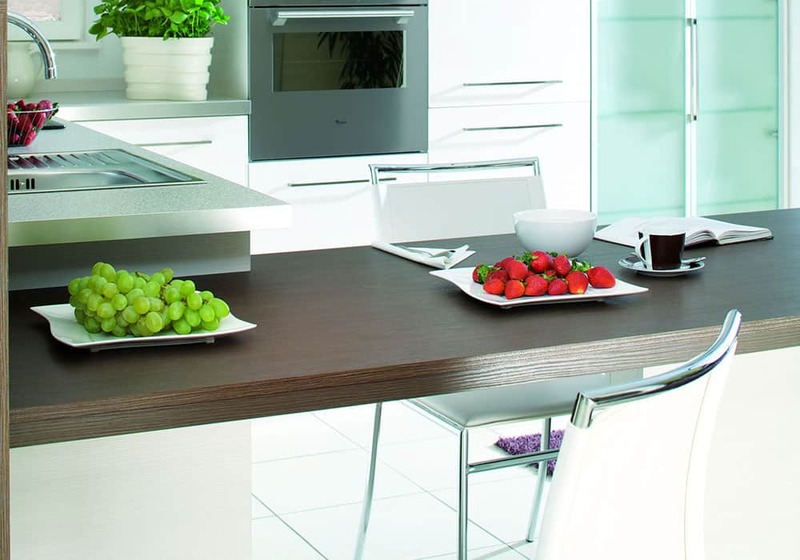 Thermofused cabinets are the most affordable option for kitchens. 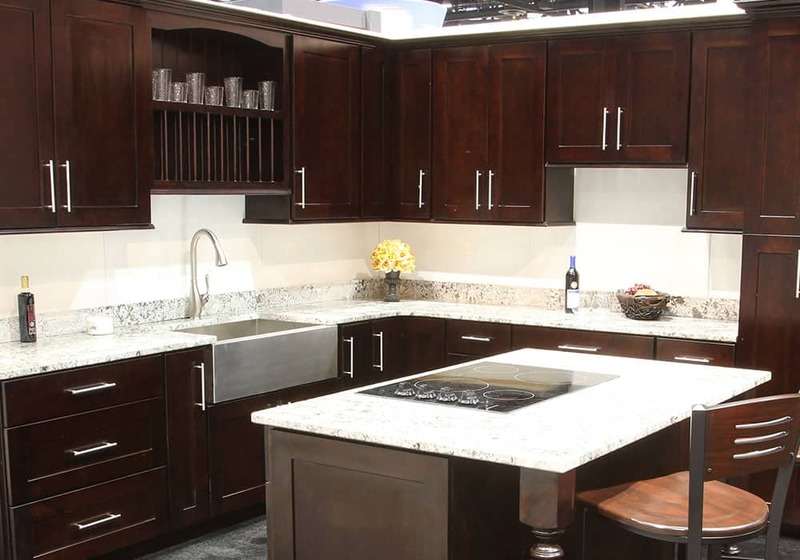 Don’t let the price fool you, these cabinets are the highest quality finish in their class. Dozens of finishes available. Production time only 2-3 weeks.